Requires 2 AAA Batteries - Not Incl. Improve your Visibility & Safety! Was $29.95 Save 30 %! 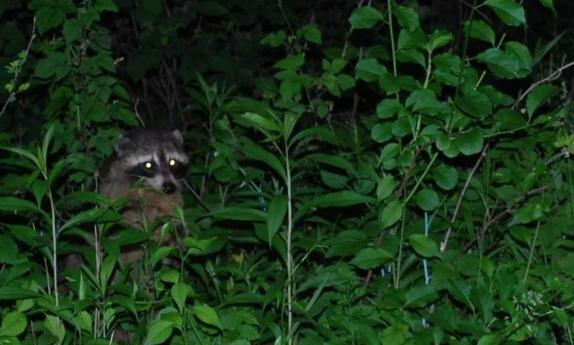 Equipped with light and motion sensors to save energy when not in use. Comes with three LR44 Button batteries for up to 12 hours running time. "Like having Tire-Flies on Steroids!" Just $10 each - Batteries included! Check our Competitor's Price on comparable headlights going up to $450.00 !!! Click here for price comparison but c'mon on back! 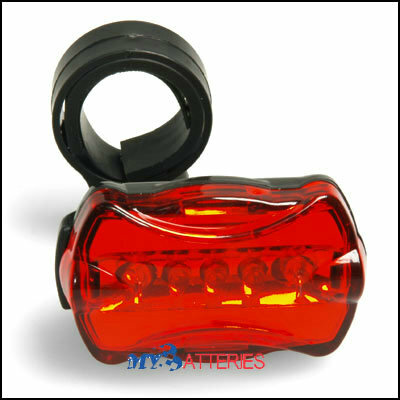 Here is a bicycle light for low-cost, easy use..
Can be used on wheels smaller than 24 inches! Now just - $8 each ! "...for its innovative design and contribution to bicycle safety." 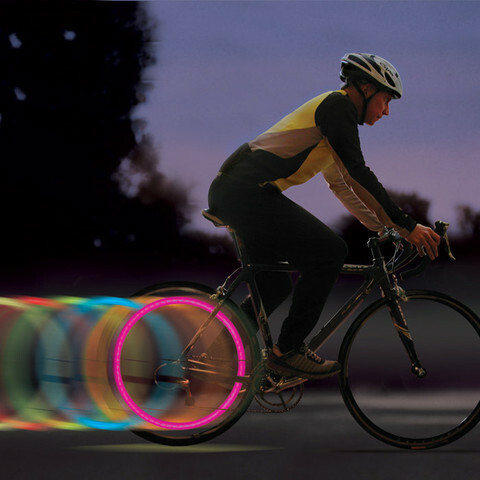 Hokey Spokes are transparent "blades" that attach to your bicycle spokes. 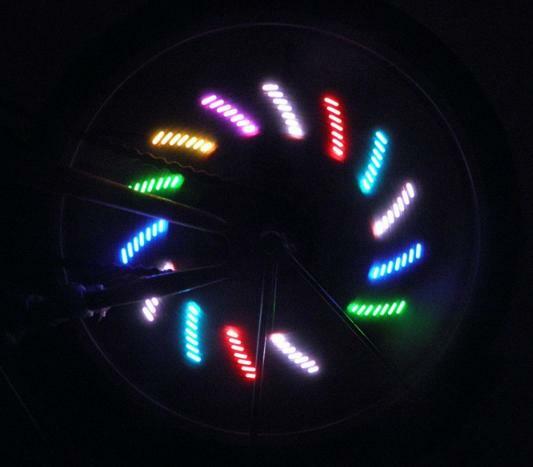 As these blades spin during riding, a computer inside the blades modulates the internal LED lights so that design images and custom text appear. 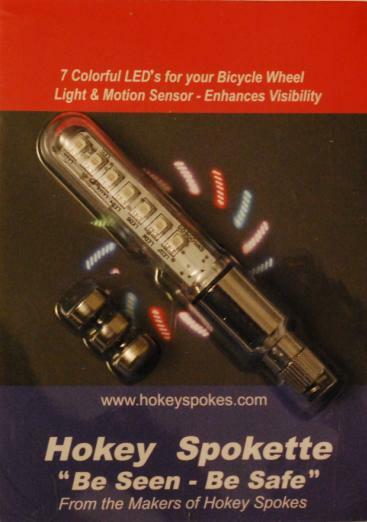 Hokey Spokes are designed so that they fit virtually any mountain or road bike with a wheel diameter of 24" or greater. Hokey Spokes can be used on front and back wheels at the same time. Each Hokey Spoke comes preprogrammed with six different designs, PLUS, you can add up to 16 characters of text (no numbers). 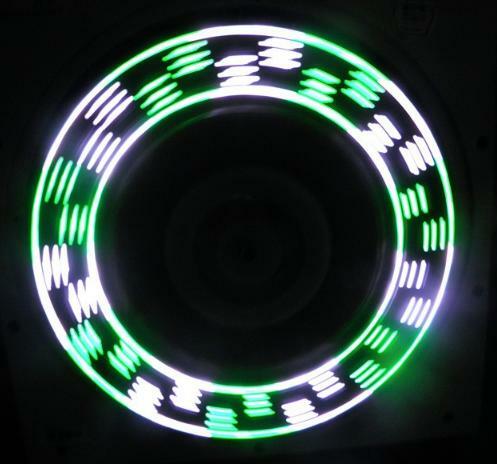 So you can put your name on your wheel in lights. 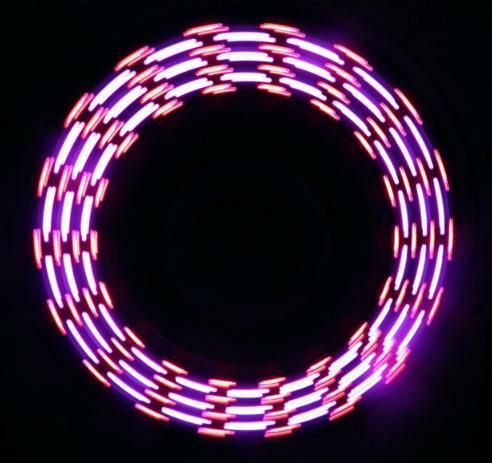 The blades can cycle through all the designs or can be set to play a custom text message all the time. Play mode is selected by using one of the waterproof keys located on any blade.